The House of Batiatus continues to repel all who would wish to do them harm. The bodies mount as these warriors bravely defend their homelands. But can they last forever? Under pressure and under constant siege, the House of Batiatus fights on and attempts to defend their lands, as best as they possibly can. Their enemies, most notably the United Nations and their sub-leagues, continue on with their campaign of terror against the HoB, as their minions flow over the border in a never-ending wave of hate. 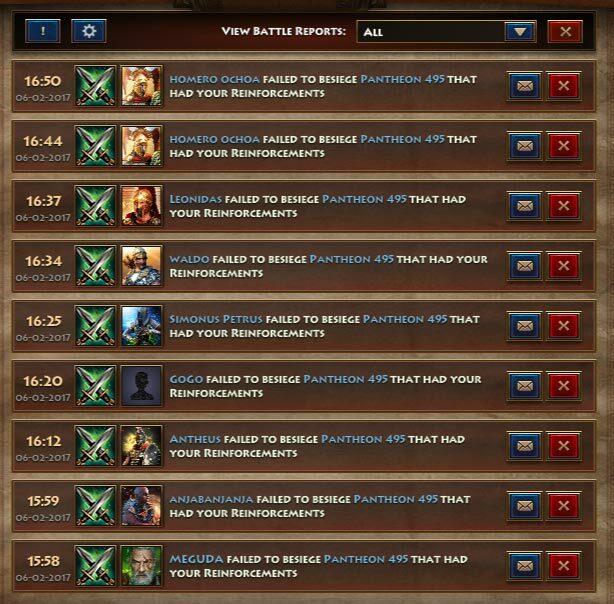 The attacks have been predominantly focused on pantheon 495, one of the two remaining House of Batiatus pantheons. 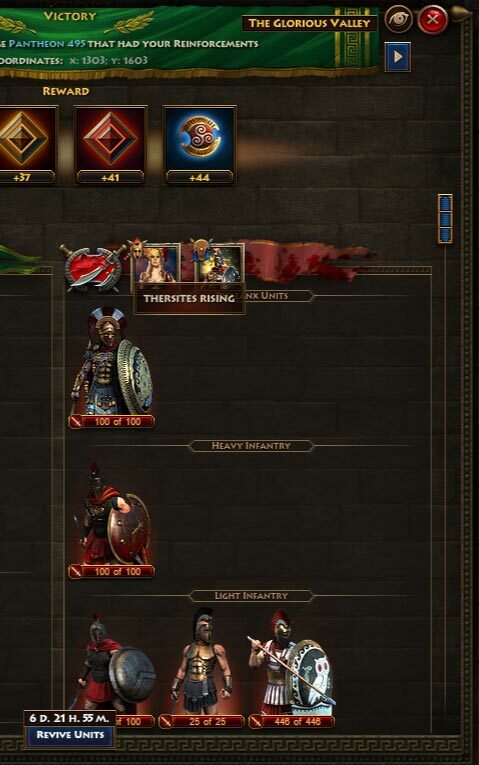 These stoutly defended pantheons have proven indomitable to the forces of the invaders. The defenders of HoB have repelled a constant stream of attacks, the bodies piling high around the walls and gates. As can be seen from the above reports, the amount of attacks have simply overflowed the reports page, pushing numerous attacks off the list, as they continue to mount. 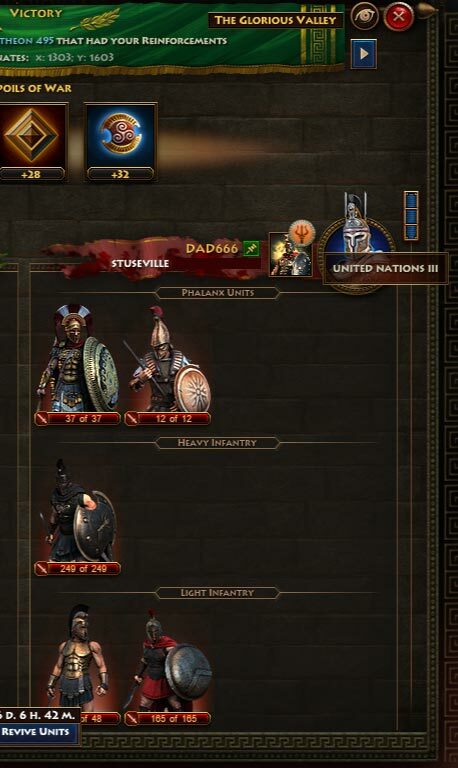 Not only are the United Nations and their sub-leagues taking part in this assault, but it appears that the Thersites Rising are also assisting in this endeavor of death and destruction. 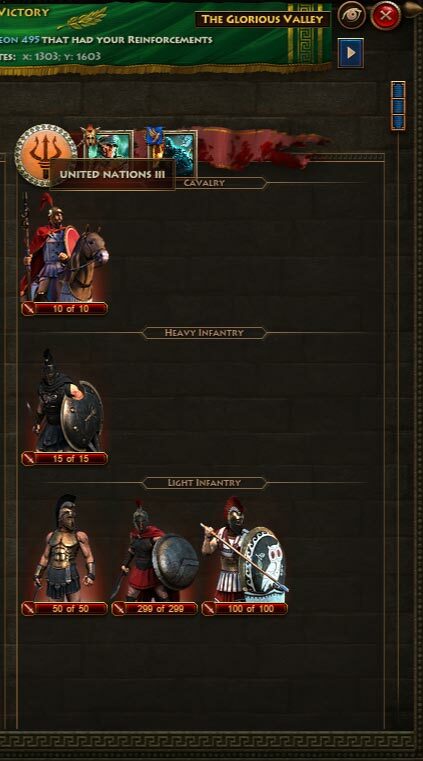 This has forced the House of Batiatus to take a number of prudent actions during this war, such as when they tactically pulled out and chose to consolidate their defenders after taking pantheon 292. Yet, if you think that the House of Batiatus is simply scurrying back to the protection of their pantheons, then you would be sorely mistaken. 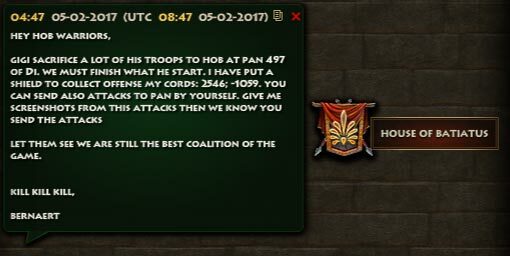 This coalition has actively been on the march, attempting to raise the honor of their name, and continue to make their mark on the realm. 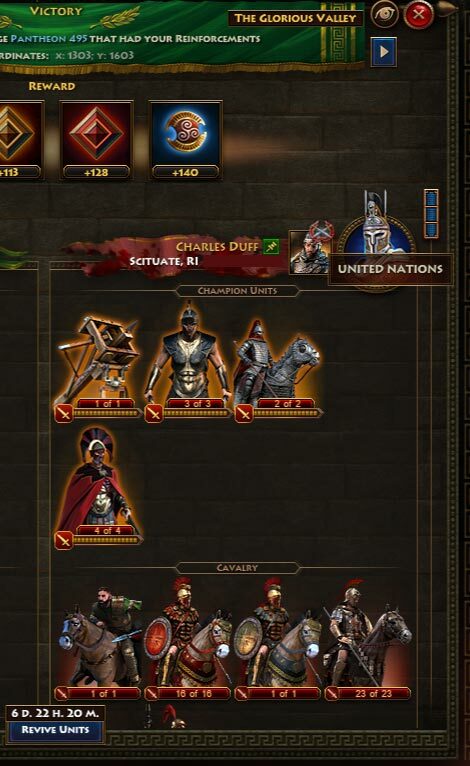 They are out to prove that they are still one of the most powerful and top-ranking coalitions within the realm. 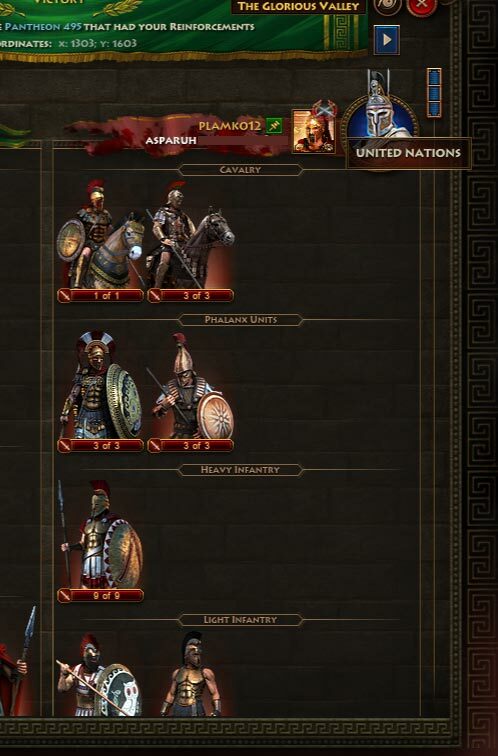 In addition to this, retaliation attacks continuing to be sent back and forth from both sides, with neither the United Nations nor the House of Batiatus willing to admit defeat.